Spider offers 3 main options when printing detailed below. Although “Reports” within a school context often refer to academic progress, reports in this article refer to lists, profiles, and any other form of presentation of your data. 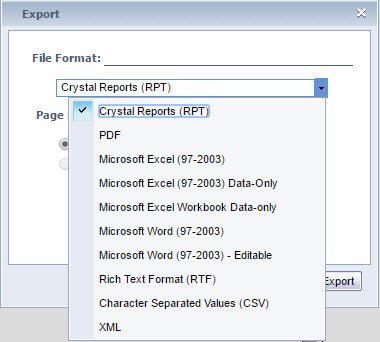 [Quick Print] will download the report as a .PDF file using the default selection parameter. It will not prompt the user. [Advanced Print] will download the report as a .PDF file but will prompt for additional selection criteria. This is explained below. [View] will prompt for additional selection criteria, then show the report in a preview window. Options for this are explained below. Based on where the report was launched form, the options that can be selected are shown. At this point, these can be changed. Using a Tagset will over-ride the selection above. This allows unique combinations of students to be selected.